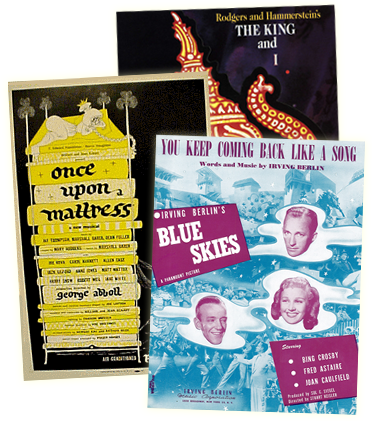 Rodgers & Hammerstein's 1956 Broadway musical PIPE DREAM had been unavailable for performances in the USA since 1990, owing to a technicality involving the underlying rights. However, an agreement recently completed between R&H and agents for the John Steinbeck Estate (which controls those underlying rights) insures that PIPE DREAM can be performed once again. As a result of the work’s return to the R&H canon, PIPE DREAM will be presented by Encores!, New York City Center's acclaimed musicals-in-concert series, in 2012, following the renovation of City Center. PIPE DREAM was presented on Broadway during the 1955-56 season, running for 246 performances at the Shubert Theater. Presented by Rodgers and Hammerstein and directed by Harold Clurman, it starred William Johnson, Judy Tyler and, in her Broadway debut, Metropolitan Opera star Helen Traubel. Set along the rocky Pacific shores of Monterey, California, PIPE DREAM is based on John Steinbeck's novel, SWEET THURSDAY, itself a sequel to his novel of the same setting and characters, CANNERY ROW. The RCA Original Cast Album, still available on CD, features "All Kinds of People," "Ev'rybody's Got a Home But Me," "The Next Time It Happens" and "All At Once You Love Her." PIPE DREAM has always fascinated R&H mavens and Steinbeck aficionados alike. The musical was the subject of a paper given by Ted Chapin at the annual Steinbeck Festival at the National Steinbeck Center in Salinas, California, in the Summer of 2000. In 2002, marking the Centennials of both Steinbeck and Rodgers, special permission was granted to allow productions of PIPE DREAM to be presented on both coasts: at Hofstra University, Long Island, New York, as part of a Steinbeck Centennial Conference, and at 42nd Street Moon, San Francisco, as part of a summer-long Rodgers Centennial Festival. However, the work's first major reclamation will be its full concert staging by Encores! in 2012. Applications for performance rights to PIPE DREAM are once again being accepted For more information, please visit www.rnh.com. I have loved this score for years. I love to play the vocal score. I have hoped that there would be a new recording lovingly prepared, like the recent, wonderful, ALLEGRO. I felt also that a new script doctor could punch up the story for comtemorary audiences. Steps the great Oscar hammerstein would find difficult to take in 1955. I hope this encores production will issue both a recording and a DVD. As Oscar proclaims: It takes all kinds of people to make up a world." A lesson for today's America! How I agree hope there is a cd and DVD of the Pipe Dream concert and hope there will be a new cast recording like the briliant new Allegro album.